SVA Director and former CEO of the Benevolent Society, Richard Spencer talks with Dr Lisa O’Brien, CEO of The Smith Family, about how The Smith Family partners. Dr Lisa O’Brien: resource constraint is one of the factors driving collaboration. Dr Lisa O’Brien shares why and how collaborative partnerships have become more critical for The Smith Family, what is needed for effective partnerships (including insights from the Communities for Children program), and what can hinder them. Richard Spencer (RS): How does The Smith Family think about partnerships? What is a partnership? Lisa O’Brien (LO’B): They cover a large range: partnerships can be simply canvassing different opinions from relevant parties right through to full partnerships with a shared mission and an alliance around delivery. RS: Five to 10 years ago, we weren’t talking about collaborative partnerships and working with a whole range of different stakeholders. Why do we do that now? What’s driving that? …the sort of work we do… is complex and it needs a broad, whole of community response. LO’B: I think that the focus on collaboration is being driven by a variety of things. One factor is resource constraint – the more people working on a challenge, the more resources and capabilities that are brought to an issue. This is particularly important when dealing with complex social problems. At The Smith Family, we work in communities where there’s long term disadvantage and we aim to bring about change by focusing on education. These are complex social problems and there’s no simple solutions – no silver bullet. Richard Spencer sees similarities between collaboration and major change efforts in the need for strong leadership. There are other areas where the solutions are more straightforward. But the sort of work we do and that a lot of other community sector organisations do is complex and it needs a broad, whole of community response. Education is a great example of why collaboration is important. We’re not going to see the kind of shift that we need to close the performance gap between the most advantaged and most disadvantaged kids in Australia unless it’s a joint response based in individual communities but leveraging a whole range of skills, resources and organisations. Those organisations range from universities, to businesses, trusts and foundations, local councils and state and federal governments. We all have a role to play in solving these issues. RS: Is there more understanding and recognition in the community now about collaborative efforts and the benefits? LO’B: Certainly, awareness of the value of collaboration has grown. … collaboration can be about building stronger relationships with partners. In the education area, people appreciate that they can’t do it on their own, that improving educational outcomes in disadvantaged communities is going to require a multi-faceted approach. The Smith Family is probably the largest education-focused organisation in Australia but there are a growing number in this space. Many of us think the same: ‘Let’s work together on this. We all share a common interest. We’re all doing great work and we’re all doing it because we want young people, particularly disadvantaged young people, to get better educational outcomes. So how can we achieve that?’. One of the secondary benefits of collaboration can be about building stronger relationships with partners. You wouldn’t collaborate simply to build a relationship, but I think there’s a real net gain in learning to work with other organisations. It’s not just what goes on in a classroom that’s going to change educational outcomes for disadvantaged kids. Certainly, The Smith Family has started a couple of collaborations and partnerships with that intent – ‘let’s do something small together and we’ll get to know each other and how we work and we can maybe use that as a platform to grow’. Currently we’re partnering with the Foundation for Young Australians (FYA) in a couple of initiatives and are now just starting to explore a new partnership with Save the Children. RS: Thinking about a completely different type of collaboration: what’s the benefit in partnering with corporates? LO’B: Naturally, there’s an element of financial support – which is always valued when you rely heavily on donated funds as we do – but there are other benefits: access to their broader networks of influence along with specialist and general volunteering. We rely very heavily on volunteers. Last year 8000 people volunteered with The Smith Family and a significant number came through our partnerships with corporates. Effective partnering: how does The Smith Family do it? RS: What does effective collaboration look like – what are the key aspects? LO’B. There are some critical factors for good collaboration, particularly where the collaboration is around joint service delivery or a full partnership. You need to be clear about what you are doing and why you are doing it. For me, trust is a big one. You need a real sense of mutual respect and trust around the table. It’s pretty hard to build if you don’t have it at the outset. That’s critical when you’re considering ‘can we go down this path together?’ because partnering effectively to deal with these challenging issues is really tough. Another key factor is that you must invest in the partnership’s framework, quite aside from the project. You’ve got to be sure you’ve got the right structures that give a sound basis from which to grapple with the work itself and the problem at hand. Another thing – that should be decided upon upfront – is to have a very clear goal. You need to be clear about what you are doing and why you are doing it. As it’s going to be challenging and expensive, you need to be really clear about why you’re doing it, and that you’re all in agreement. You need to know what success looks like and the definition needs to be tight, not fuzzy. RS: Can you give an example? LO’B: Recently, we formed a loose alliance of leaders of non-profit organisations to advocate around school funding reform. We worked pretty closely and quite effectively for 8-9 months advocating (at federal and state levels) for changes to legislation. It worked because we were really clear that the Australian Education Bill (2013) was the only thing on our agenda: advocating for needs-based, school funding reform. It wasn’t about what the funds should be spent on – if we’d got into those conversations, we would have been less targeted and less effective. Getting the right governance structures in place is really critical. It allowed a range of organisations including: the Brotherhood of St Laurence, Mission Australia, St Vincent de Paul, Anglicare, The Smith Family and some smaller organisations: SVA, FYA, and the Centre of Public Education to come together because it was a clear, single, focused issue. RS: In frontline service delivery in communities there is often a variety of local organisations at the table and there’s a range of personalities, egos, territory, and ownership, etc. The Smith Family has been a lead agency in this situation. What has been important? LO’B: Getting the right governance structures in place is really critical. It comes back to the investment that’s required in good collaboration. You need a framework that’s transparent so that everyone understands the process. One thing we found as a provider of the Federal Government’s Communities for Children (CfC) program was the value of not offering services in communities where we were the facilitating partner. It’s hard for large government departments to partner with small grassroots organisations. We made the call not to compete with other organisations. That worked well; it built trust. We took on the role of broker and could be completely transparent and focus on creating an environment that allowed the various service-delivery organisations to work effectively. Taking the competitive tension out of it has been critical. Also at that community level, another reason the CfC collaboration worked is because we’re an NGO working with other NGOs rather than government. Collaborations like the Communities for Children program work because they reflect the reality that every community is different, with different needs. RS: Government uses the language of partnership. Peter Shergold, former CEO of the Centre for Social Impact (CSI), has said that it worries him that organisations can end up wanting to comply with or please government but there’s not equality in the relationship. When government is offering funding and saying it wants to partner, how do you approach that? LO’B: It can be challenging, however we’re in the lucky position of not being heavily reliant on government funding. That, combined with being really clear that we’ll only do work that’s on mission, means we’re pretty focused about how we engage with government. The third element is a strong commitment to quality. There have been occasions when we’ve chosen not to tender because we thought that the tender requirements would not allow us to provide a high quality service. RS: It gets very tempting for some organisations to fit their mission to the needs of the funder. And that suggests that it’s not a partnership because whose needs are being met? So it needs laser like clarity up front. What is the message for government about how to drive its dollar further using more collaborative models? … it’s efficient in that it makes best use of existing services and meets the community at their point of need. LO’B: I think the CfC model has enormous merit. We’re expanding that approach into our work with schools and clusters of schools. The reason that it’s so valuable, particularly in disadvantaged communities, is because it’s predicated on the facilitator/broker approach. It reflects the reality that every community is different, with different needs. Each has some strengths and resources but not others. Collaboration enables us to respond to individual communities and coordinate around their needs and priorities. So it’s efficient in that it makes best use of existing services and meets the community at their point of need. Collaboration is embedded in it. In the communities where we work with long term disadvantage, these kinds of approaches are a critical element. One other big program that we’ve been involved in that’s similar to the CfC program is the national Partnership Broker scheme which brokers relationships between school, business and community. The focus of the program is on creating career pathways and opportunities for young people to transition into employment by facilitating partnerships between schools, business, partners and broader community. It’s conducted at a much bigger scale as several local government areas are in the one ‘community’. The Smith Family is a partnership broker on the south coast of NSW which includes Wollongong, Nowra and the Southern Highlands. 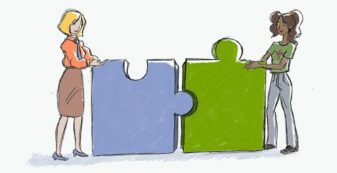 The partnership brokers are looking for opportunities to link up organisations and facilitate sustainable partnerships. With complex problems, you need to take a five to 10 year view at least. One great example of their achievements is the Shoalhaven Student Pathway Pass. The pass provides local students with free travel to high school-approved learning opportunities such as work experience and TAFE courses. It was driven by a need among young people who only had access to limited and expensive public transport. It meant getting the schools, bus companies, local council and NSW Department of Transport together to collaborate in issuing the passes. I think it worked because everyone could see the problem and persistence got them around the table to work out a solution. RS: Often the best partnerships are long term which is why it’s worth the investment up front and nurturing the relationship. It also means that results flow over time for some of this difficult work in communities. How do you manage that when your goals have to be very long term? LO’B: You need to have the right kind of framework around evaluation, outcomes-based accountability and other measures of success so that you know that over time you are measuring impact and outcomes. With complex problems, you need to take a five to 10 year view at least. RS: How has partnering with sponsors changed in the last few years? LO’B: In the past, you’d sometimes partner with a large corporate where the CEO or chairman would say ‘great work’ and hand you a big cheque and that was it. This has evolved into a partnership which is more about clarifying mutual expectations and working jointly together on challenging issues. There are lots of reasons why that’s a great evolution. We partner with corporates, large foundations, and universities. Those sorts of organisations bring a whole lot of benefits to how we do our work. In the great partnerships, you keep stepping up. Concern about how to solve some of our big social issues is not restricted to non-profit organisations. There are people in the business world and other stakeholders: government, individual philanthropists and foundations who share that concern. RS: With your long term relationships, what are some of the ingredients for continuing success? 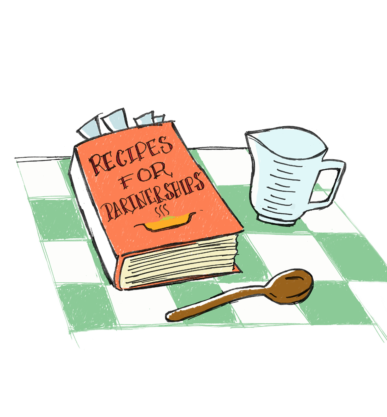 Does the partnership need to be refreshed or revitalised? LO’B: We try to be reasonably structured. In partnerships that last a couple of years, we’ll enter into a memorandum of understanding (MOU) so that it is clear what the expectations are for both parties. For example, with our corporate partners there are some clear outputs and reporting on the programs that they’re supporting. In the great partnerships, you keep stepping up. You may start at a pretty transactional level: ‘you give us this money, we’ll deliver this service’. But then you build better relationships with multiple touch points. When you refresh the relationship, as you need to on a regular basis, you ask ‘how can we leverage this a little more’. Sometimes we’re the one asking that question, or sometimes the partner is. RS: How important is the role of leadership in ensuring partnerships work? LO’B: Leadership is a critical piece. I have had experiences in other organisations where at the mid-tier and grassroots there was real drive for collaboration and partnership and yet there was lip service coming from the top. The leadership that was required wasn’t there, so everyone spun their wheels and became enormously frustrated. Where you’re dealing with tough and difficult issues, you need strong leadership saying ‘this is the direction that we are heading, we can get there together’, otherwise it doesn’t work despite the best intentions. What’s key is finding like-minded individuals who you can work with, who have the same boundaries and who prioritise the same things. RS: The focus on leadership resonates for me. It’s a bit like major change efforts. 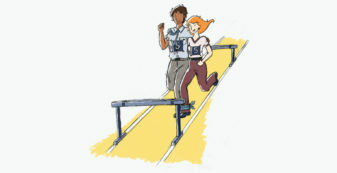 Unless frontline staff see it being led from the top as well as their direct managers it won’t work. I often think of a story from a friend who used to be deputy director of WA prisons. He said, ‘You cannot do anything in prisons without the agreement of the inmates’. In what we would think was the most controlling environment, he said, ‘They will respect authority; but authority has to respect them in terms of what’s reasonable’. Do you agree that the relationships between the CEOs and the other key people are important in collaborations? Do you need counterparts that you enjoy working with and that you trust? LO’B: Yes you need to know that you’ll have that with the people you partner with. If you don’t have a common view and approach, if the chemistry’s not right, it’s really hard. People are different and have different styles; they emphasise different things. What’s key is finding like-minded individuals who you can work with, who have the same boundaries and who prioritise the same things. RS: Overall, how critical are partnerships to The Smith Family’s success? LO’B: Partnerships are absolutely vital to our work. We rely on our huge range of community partners for place-based work. We rely on donors, businesses, universities, trust and foundations who help fund our work. We also need the support of our 8000 volunteers to help deliver our work. Partnerhips and collaboration is at the core of what we do. Dr Lisa O’Brien has been CEO of The Smith Family since February 2011. 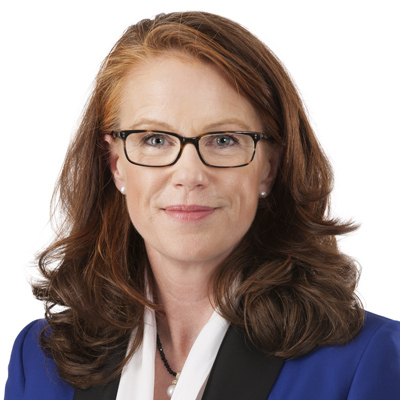 She is a non-executive director of the Community Council for Australia and Immune Systems Therapeutics Pty Ltd, member of Chief Executive Women Inc and former CEO of the Skin and Cancer Foundation Australia. Lisa was also a founding member of Sydney’s Lou’s Place, a drop-in centre providing respite and support for women in need. Lisa is a medical practitioner registered in NSW and a Fellow of the Royal Australasian College of Medical Administrators and also holds a Masters of Business Administration and a Masters of Human Resource Management and Coaching. In 2013, Lisa was a nominee in the Australian Financial Review and Westpac’s 100 Women of Influence awards. SVA Director, Richard Spencer has spent many years working at CEO level in the non-profit sector. Most recently he was the CEO of The Benevolent Society from 2004 to 2011. Previous roles have included CEO of Cerebral Palsy Alliance and President and CEO of AFS Intercultural Programs in New York. 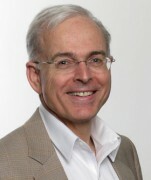 He also served as Executive Director for UNICEF Australia in the late 80s. Prior to that he worked as a corporate lawyer for Clayton Utz and as a senior manager with Pioneer International and Rio Tinto. Critical factors for effective collaboration include trust, a clear goal and a commitment to invest in the partnership’s framework including sound governance structures. Collaboration is being driven by resource constraint but is also needed to deal with complex social problems. 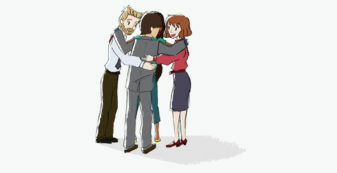 Sponsor partnerships are more about clarifying mutual expectations and working jointly together on challenging issues.